We’ve selected our top rated products for 2019. Best Cheap Wireless Doorbell: It Still Works Great! Doorbells – essential, indispensible, effective. Every single home appliance and equipment you can think of has developed and evolved with new technology, and the modest doorbell has not been left behind. Wireless doorbells have become the new style, eradicating the need for challenging set up with endless wires running through the house and yet another call out to the electrician. Being a homeowner is hard enough, so wireless doorbells take the effort out of this little gadget. Once you’ve got to grip on what it is, there is of course a range of factors to consider. Firstly – what is even available? 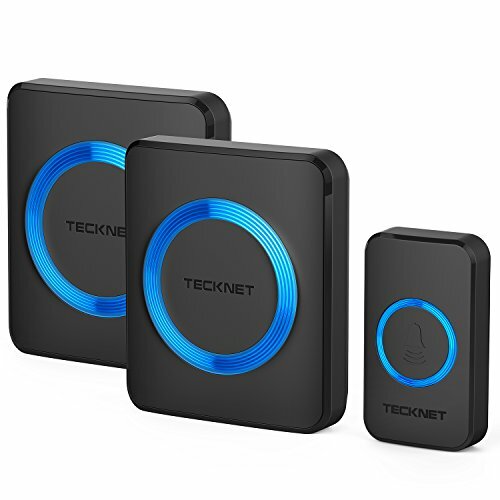 You just have to look online and you’ve got a huge range to choose from – there’s Magicfly, Ring, JetTech, 1byone, Tenswall. All recognised and recommended brands with reviews you can trust – with discussions on water resistance to signal strength you can research and explore the options to find exactly what you require. Home size. Firstly this can distinguish between the need for the more traditional unit of single push button and chime box, and a wireless doorbell with multiple receivers. The larger the house, the more receivers you add – wire free! Or, you look for a wireless doorbell with a longer range! As size of house increases, so may the number of entrances. If you have multiple entrances, you can go one of two ways; either buy one with included multiple button units, or you can buy additional buttons and then set them to the right frequency. Which brings us onto frequency setting. You don’t want to be answering your door when it chimes to find out its actually your next door neighbours guest stood on the lawn. This is frequency clash, which causes the system to ring when the bell next door is pushed. Whilst this can be overlooked if you live in a secluded spot, it might be best to opt for a wireless doorbell with a frequency blocking technology or one that can be coded to evade interference. Finally consider how easy it is to install in the first place. Which brings us onto our second point… how on earth do you install it? It is now a simple mounting process that can be done by pretty much anyone that can handle a drill. Two units are standard – a button unit, which has a radio transmitter, which you attached to the outside of the door, and a chime box mounted on the inside. Both are battery operated, so installing and dismounting, getting it fixed is all stress-free. Someone presses the button; it sends a signal to the chime box, which triggers the receiver sound chip and plays a chime of your choosing. Yes, wireless doorbells have the gift of choice. What are the advantages of wireless doorbells? No wired systems – no risk due to poor fireproofing, no messy wires, no ruining walls for installation. Unattached indoor counterpart – you can put the indoor unit wherever you like, not limited by wiring! You can add more receivers! If for example you have a large house, you can sync multiple receivers all up to chime for you to hear them wherever you are! 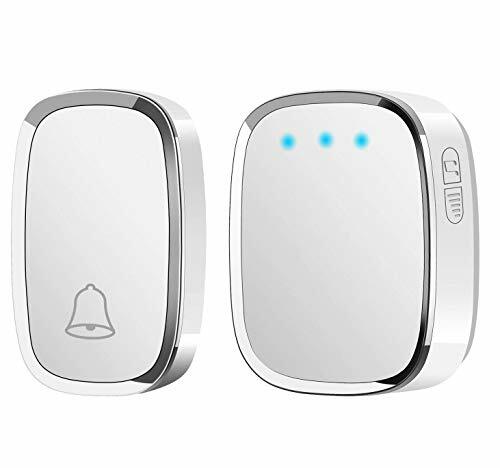 There is little doubt that a wireless doorbell is a clever little technology that removes the hassle of old-school doorbell systems and can allow an aggravation-free way of making sure you never leave your guest waiting at the door!